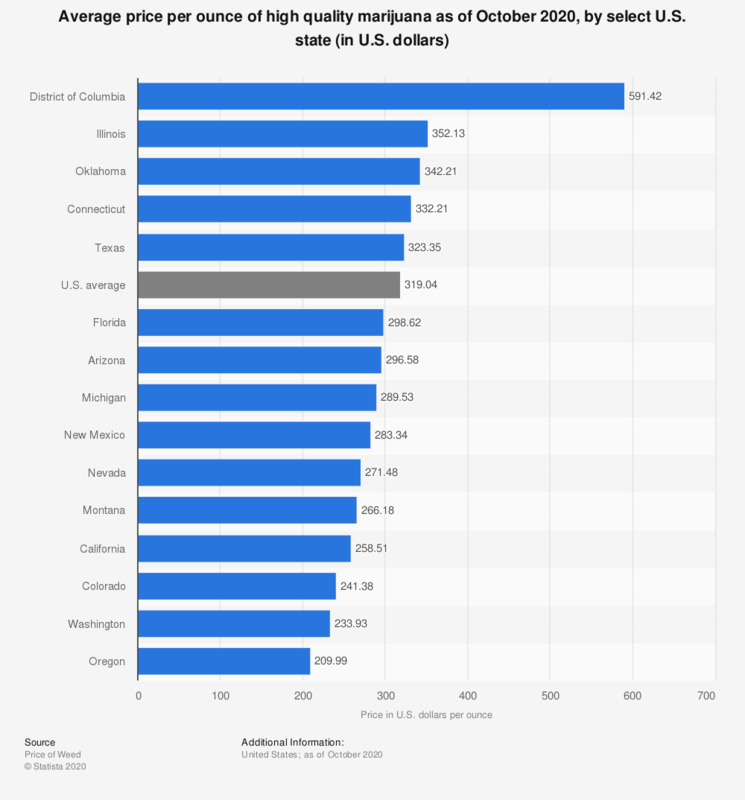 The District of Columbia holds the record for the highest price per ounce of high quality marijuana in the United States, as of November 2018, with an average price of 600.70 dollars per ounce. According to recent data, by 2021, recreational marijuana sales in the U.S. are expected to triple. Recreational cannabis is not legal in all U.S. states; however, many consumers use the drug illicitly. A recent survey indicated that over half of U.S. adults think that cannabis should be legalized and taxed like alcohol and tobacco. Recreational cannabis is often used by consumers for relaxation, stress relief, and creativity, to name a few. Surveys have shown that a majority of recreation users use marijuana for relaxation. It is projected that by 2025 the sales of legal cannabis in the U.S. will generate approximately 23 billion dollars in revenue. The regulation of marijuana includes the taxation of all sales. There is potential for the U.S. cannabis market to generate significant taxes and boost the economy. It is estimated that the taxes from legal marijuana sales would exceed the taxes earned from U.S. sales taxes by a significant amount.